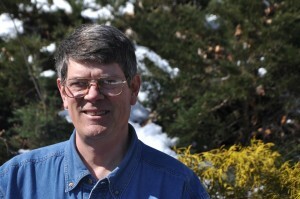 Richard Wimmer began working as a carpenter for BRHI in 1999. With over 25 years of experience as an energy auditor and industrial engineer, he has become a lead carpenter and an integral member of the BRHI team. This Roanoke native graduated from Pitt Community College in North Carolina in 1982 with an Associate Degree in energy technology. Prior to that, Richard acquired an Associates Degree in Music from Ferrum College, and still has a love and appreciation for music and the arts. Richard says the key to success is being happy in life and enjoying what you do. He says his favorite thing about working with BRHI is the teamwork and the relationships he has built, not only with his co-workers, but with his customers as well. Something everyone should know about Richard is he has a daughter who he is very proud of. He also enjoys woodworking, music and art. Richard’s goals are to hone his woodworking skills and to set-up his own woodworking shop.